It's 21st century life. Kids of all ages are now a bundle of contradictions: they exude entitlement, back talk shockingly, negotiate endlessly, worship celebrity, do ten things at once and conduct independent lives on line. Yet, they're also far more open with their parents and each other than kids in prior generations, are strikingly generous and empathetic, and care deeply about ethical issues. The key question, then, is how to encourage the good in these complicated times, how to strengthen 21st century children and their families. I believe today's parents, child professionals & educators are uniquely qualified to bring out the best in our kids. So, for both parents or professionals I try to describe child and family life today in clear ways and show what actually works - in a changing, challenging world. * Please note: If you recently submitted a contact form and have not heard back from Dr. Taffel, please resubmit. Dr. Ron Taffel is one of the country’s few experts equally sought after by both parent and professional audiences. He has done over one thousand consultations and workshops in 25 states across the country. Dr. Taffel is the author of five popular and two professional books translated into a half dozen languages. His works are hailed by such widely noted authorities as Mary Pipher, Alvin Poussaint, Michael Thompson, Rosalind Wiseman, Stephan Covey, Robert Brooks, Maria Shriver, Harriet Lerner, Michael Gurian, Ruth Peters and James Garbarino. His most recent book Childhood Unbound: Saving Our Kids’ Best Selves has been critically acclaimed for parents, educators, and mental health professionals alike as a guide to new approaches dealing with 21st century kids, families and schools. 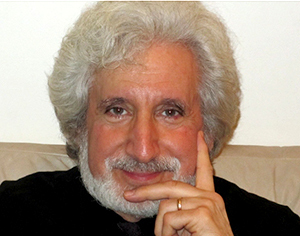 In particular, Ron is known for his uniquely engaging ‘information and inspiration’ message on getting today’s children of all ages to listen to responsible adults, talk more about what really matters, develop genuine self-esteem and healthy passion in our coarse, technologically driven and pop culture world. Through his writing and public speaking Ron helps parents and child professionals move beyond outdated ideas to the cutting-edge of ‘what we now know,’ to draw on our natural strengths and hopes — to bring out the best in our kids and in ourselves.